Ultrasonic therapy with the frequency of 1 MHz or 3 MHz. Economical, portable and user - friendly device that despite of its light weight and small size provides all the benefits of ultrasound therapy. Continuous and modulated modes of operation that allow for the therapy of both chronic and acute conditions. The ultrasound therapy has been recognized as a very effective modality for treating different malfunctions of neuromuscular system. Acoustic energy of ultrasound waves penetrates the tissue and causes molecules to vibrate, thus producing heat and mechanical energy. The temperature in the target tissue increases what significantly improves bloods supply and consequently promotes healing. 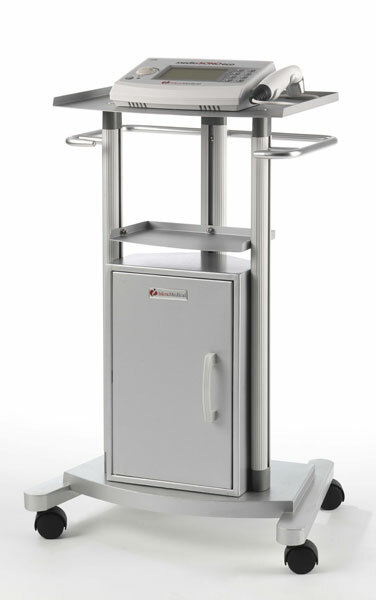 The device supports two ergonomically designed 1 and 3 MHz dual-frequency ultrasound heads. The classic therapeutic frequency of 1 MHz penetrating deep into the tissue is mainly used for treatment of the structures such as joints and tendon, whereas the frequency of 3 MHz affects cutaneous and subcutaneous tissue, and is therefore an ideal tool for skin specialists. The ultrasound can be applied in two modes, continuous and modulated. In continuous mode, the heat is transferred to the body tissues resulting in thermal effect what makes this mode perfect for the therapy of chronic diseases. On the other hand, in modulated mode the waves are delivered in short pulses what prevents the tissue heating. This mode therefore provides a micromassage effect, and is mainly used for treatment of acute conditions. The dual-frequency heads of two different sizes, adjustable therapy time and intensity make the universal ultrasound device suitable for both medical and cosmetic treatments. 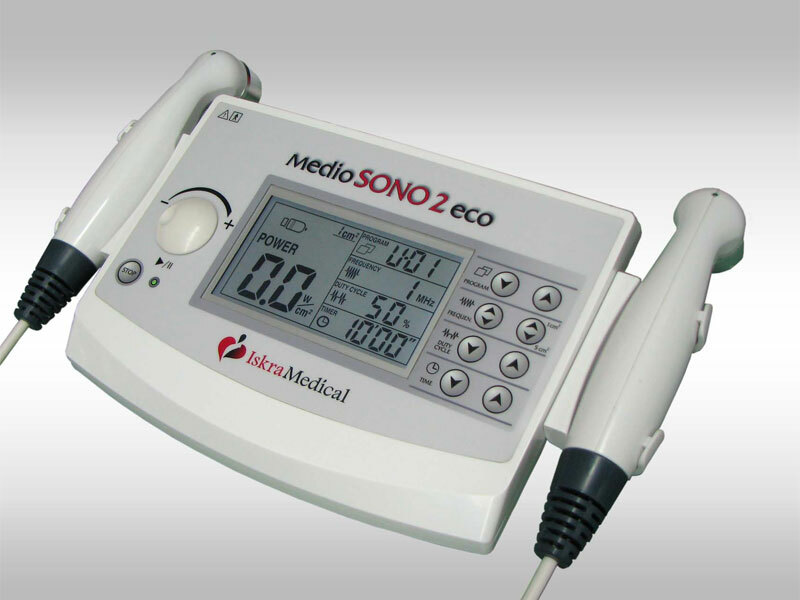 In addition, Medio SONO 2 eco can be connected to other Iskra Medical instruments, and used simultaneously with diadynamic and interferential currents. Ultrasound indications for use are acute and subacute traumatic and inflammatory conditions, chronic rheumatoid and arthritic conditions, venous ulcers and pressure sores, scar tissue and excessive fibrous tissue, pain relief.